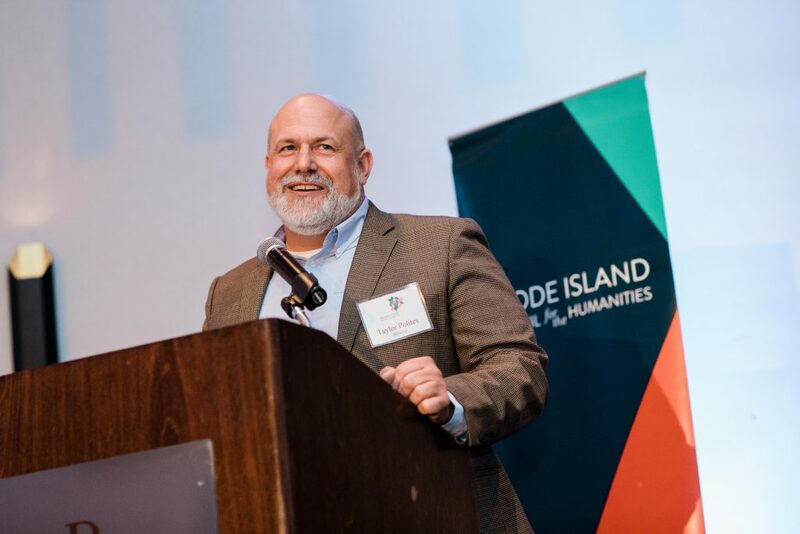 October 18, 2018 — At the 2018 Celebration of the Humanities, over 300 community and business leaders, scholars, artists, and government officials gathered in Providence to honor this year’s awardees. The Celebration’s theme – BRIDGE – is about the power of the humanities to link diverse communities, increase access to culture and education, span understanding of the past and imagining the future, connect to societal challenges, and strengthen the ties between information, awareness, and democracy. Each of this year’s honorees do this with great dedication, talent, and skill. Read on for remarks from Taylor Polites, author and educator, and the 2018 recipient of the Public Humanities Scholar Award – the second installment of a four-part In Their Own Words series. Thank you, Touba. Thanks to the Rhode Island Council for the Humanities, its staff and board members, and everyone who worked so hard to put this eventtogether, and thank you to everyone here tonight. Rhode Island is a dynamic and creative place due to the amazing cultural community gathered in this room. I am honored to receive this award and hope to live up to the expectations that it conveys. If I think about this honor and what it means, I think that it is an acknowledgment of my passion for history and my willingness to let that passion take me in any direction that it seems to pull. To follow passion is a divining rod that has never failed me. I have lived both sides of it—years working at a job where I had success, but no passion. And then changing my life, pursuing a dream to write that seemed impossible, outrageous. Trust your passions. They will lead you to the most interesting places. And while I feel that following my passions has led me to do and create things that I had not even dreamed about, I also have to acknowledge that this honor is just as much about the city of Providence and the people in it. I have never lived any place like it. 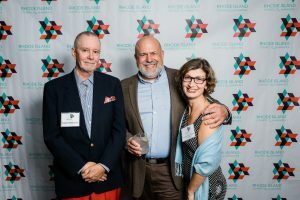 There is no other state like Rhode Island, with people who have the same interest and enthusiasm for creation and art making, the same welcoming spirit. 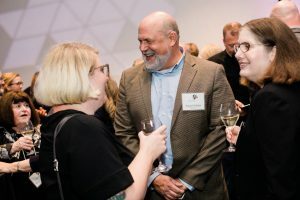 There is no place with the same civic mindedness, with the number of organizations finding ways to connect people to each other, to connect them to the community, to be bridges for the humanities. While I might have pursued my passion for history any place, only Providence provided such a community of people who are enthusiastic, experimental, always game for something interesting, always looking to make the city and the state a better place, a more creative place, a more just place. It is an honor to sit here with my fellow honorees, who are such amazing examples of that. I want to also particularly thank Christina Bevilacqua, a past Humanities Council honoree, who was one of the first people I met when I moved here almost eight years ago. She has been an enthusiast, a mentor, a co-creator and a dear friend. I am looking forward to continuing to build the Pond Street Project with her and the Providence Public Library and many of the great community organizations in this city and here tonight. History was the first bridge for me. Taking me to a place of imagination and wonderment, of fascination, of reflection and questioning and understanding. I am awestruck when I consider the path it has brought me down. I ended up here among you. I am excited to continue down the path with you all. Thank you.